We have all seen articles and studies about the importance of exercise but some of us still struggle doing it consistently. One thing that can help exercise be more consistent is finding something you enjoy. If you enjoy it then you're much more likely to stick with it. Also, if you're working out strictly to focus on calorie burn instead of finding enjoyment, that can also get you burned out. We should exercise to enjoy moving our body, to sweat, to feel better about ourselves, and to be healthy. Our team at Mother Beverage is already loving this nice weather as there is so much activity we can do outdoors! We have gathered some of our favorite workout channels in this post to help you find something you love to do. Looking for a way to get started right now that doesn't take very long? 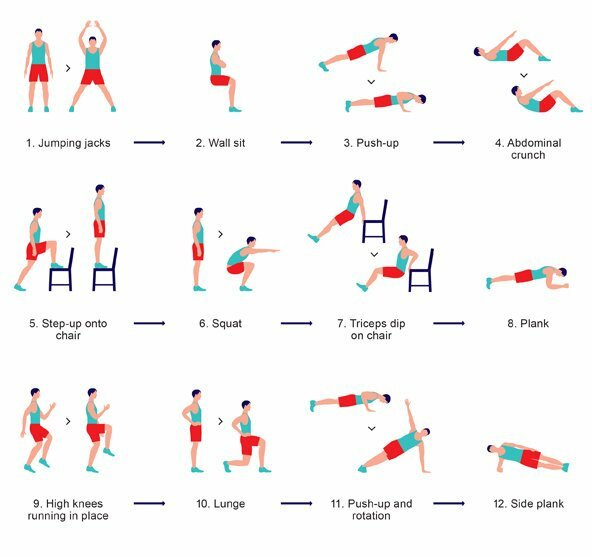 Try doing the scientific 7 minute workout from The New York Times and let us know what you think! See how many times you can do this circuit for an extra challenge. What's your favorite way to workout? Is there a new fitness routine you're loving? What makes you feel your best? Let us know in the comments below and don't forget to grab a Mother Beverage to help you recover and feel even more energized after your workout. As always, cheers to your health.